Trump says Cohen won't 'flip': How do prosecutors get witnesses to turn? History tends to suggest the president's confidence may be misplaced. 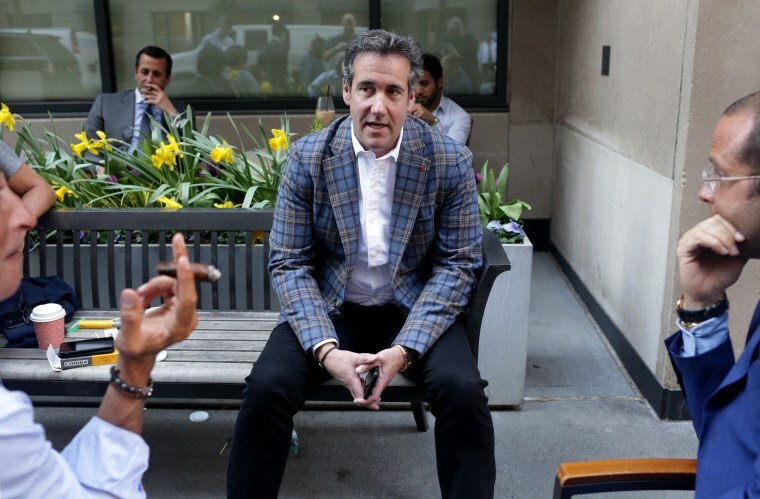 President Donald Trump tweeted over the weekend that he doubts his loyal lawyer Michael Cohen will “flip” and cooperate as a witness against him, despite a recent search warrant and an FBI raid on Cohen’s offices. History tends to suggest Trump’s confidence is misplaced. The path to prison is well-worn with high-profile defendants who believed that their loyal subordinates would not turn against them. In one example, Salvatore "Sammy the Bull" Gravano was charged as the consigliere, or adviser, to John Gotti, the head of the Gambino crime family of La Cosa Nostra. Gravano pleaded guilty to a racketeering charge and testified at length at trial against Gotti and Frank Locascio, the underboss of the Gambino crime family. In another example, the only direct evidence tying Charles Manson and others to the Tate-La Bianca murders was the testimony of Linda Kasabian, a member of the Manson Family who was present at the crimes as a lookout. She ultimately testified against Manson in exchange for her own immunity. Manson's followers were known for their extreme displays of loyalty; other members carved the letter “X” on their foreheads during Manson’s prosecution. Yet, it was a member of this family that eventually cooperated and provided critical testimony. The point is: When people are facing criminal prosecution — particularly in federal court — any professed undying loyalty often wavers, and they can be suddenly willing to say almost anything to avoid a lengthy incarceration. That’s when prosecutors might “flip” someone, or turn them into a “cooperating witness” against another person. The choice to use a cooperating witness is not an easy decision; it can blow up in a prosecutor’s face. If prosecutors believe Cohen has committed crimes, for instance, and they want him to help in the prosecution of other targets, they can potentially flip him — but there are some general rules they should adhere to. Prosecutors should give serious thought before using non-prosecution agreements, and offer them only when cooperation appears to be necessary for the public good, and there's no other way to obtain cooperation. Prosecutors often prefer methods such as seeking cooperation after trial and conviction of a witness, or bargaining for future cooperation as part of a plea agreement. U.S. Attorneys' Manual takes the view that an offender should be required to incur at least some liability for his crimes, which means letting someone completely off the hook in exchange for testimony is generally not desired. So even if Cohen were a cooperating witness, he would probably have to be convicted of some crime, no matter how much information he gives up. Prosecutors should also generally look upstream for evidence against a “bigger fish” when turning witnesses. Juries don’t like to see a kingpin get a sweet deal and then testify against a few lackeys or underlings. Prosecutors must also be careful to vet the story as completely as they can. A cooperating witness has a tremendous incentive to say anything, truthful or not, that might help the government's case and secure lower sentence. As helpful as their testimony may be to the government’s case, if it’s not truthful, or even not credible, the jury might blame a prosecutor for putting an perceived liar on the stand. That’s the problem with cooperating witnesses. They may be telling the truth about their friends and colleagues. But they may also be exaggerating, lying under oath, and even fabricating evidence. In return, they hope for favorable treatment at sentencing, or even immunity from prosecution. That’s why Trump should be concerned about Cohen. He fits the profile of a cooperator. He knows a lot about the activities of several big fish, including Trump. And no matter how loyal someone thinks they are, once a person is looking at decades in federal prison, he is likely to start thinking less about his colleague/co-defendant/target — and more about his wife, his children, and, most importantly, himself.